High content of pure Australian Tea Tree Oil; Energizing, soothing, cooling sensation; pleasant lathering; 'squeaky clean' hair; fascinating natural shine and volume; addictive fresh scent and incredible softness-Pure Mauve invigorating shampoo makes you sing in the shower. A lover of 'squeaky clean', not looking forward to brittle hair? 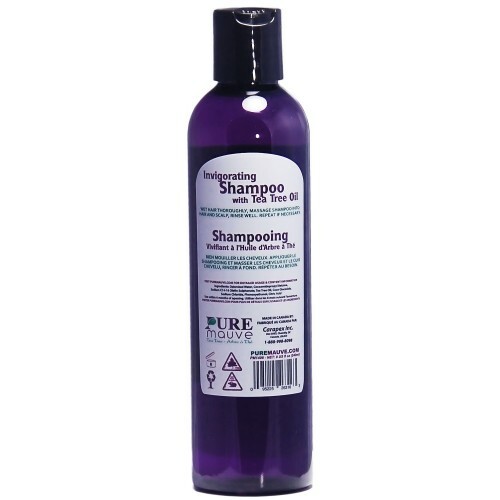 Free of harsh, cancer-causing foaming agents such as SLS, SLES, and DEA, this shampoo is potent in cleansing oily hair and scalp, hair product residues and other impurities without stripping every trace of beneficial oils and proteins from your hair and scalp. It leaves your hair soft, bouncy and incredibly soft. A lover of SLS free shampoo, not satisfied with the thin lathering? Neither too thick, nor too runny, this shampoo has the perfect consistency. You only need a small amount to work it into a pleasant lathering that is not as thick as SLS, but enough to satisfy your senses of cleansing. 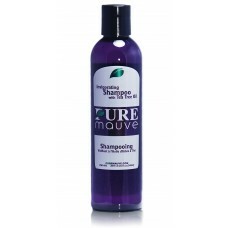 It thoroughly cleanses your hair, leaving no greasy, coating residues. A lover of Tea Tree Oil, but not so happy with the low content contained in the product? As faithful fans of Tea Tree Oil ourselves, we use only the finest, highest quality Tea Tree Oil from Australia. We included high percentage and also the right amount of Tea Tree Oil into this soothing shampoo to give you that invigorating tingling without burning sensation on your scalp.